功能特性: Anatomically sculpted. Lightweight merino helps regulate temperature. Carefully engineered for precise fit and lightweight cushioning, the Women's Run+ Light Mini is a lightweight sock with heavyweight performance. 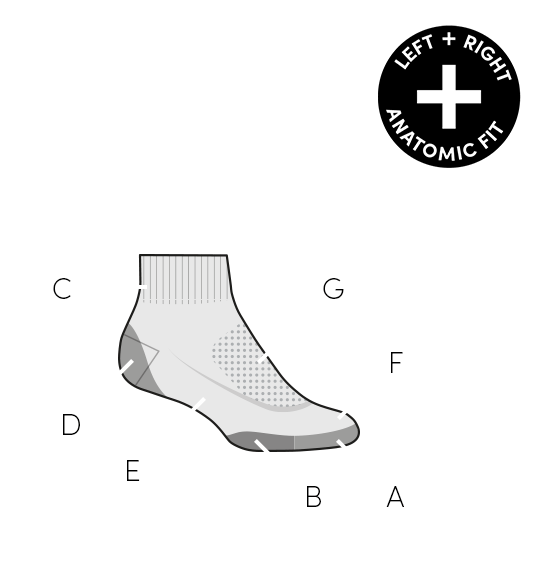 Starting with the blend of merino and Nylon to keep your feet from getting too hot, the anatomical fit of these socks also has a flat knit over the top for improved breathability, and light cushioning under just the toes and heel of your feet. Your shoes will fit better, and your feet will be happier when you run.